Our first look at Titanfall 2 wasn’t exactly favourable. The hodgepodge mix of multiplayer elements - borrowing from the likes of Call of Duty, and other military shooters, fused with the unique features of the first game, made it feel like a contrived experience. Does the retail release fare any better? Read on to find out. 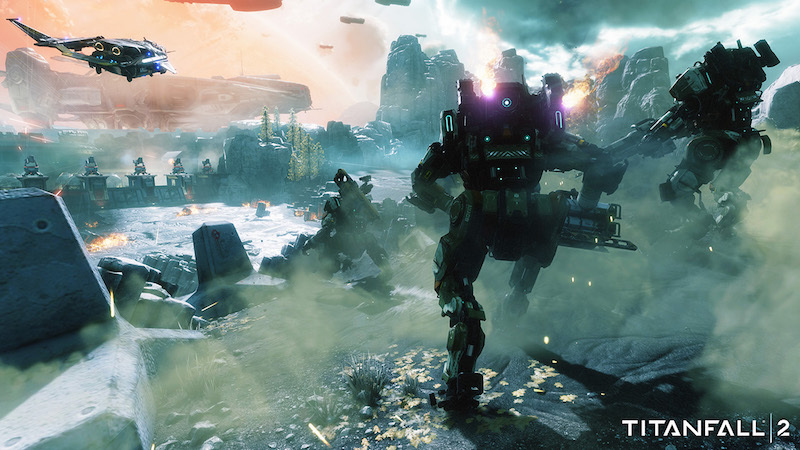 Unlike the first game, Titanfall 2 has a single-player campaign. You take on the role of a common grunt for the Militia, one of the game’s two warring factions, the other being the IMC. A series of unfortunate events results in you becoming a pilot - an agile warrior who can commandeer a giant robot known as a titan. Before you know it, you’ll find yourself on an adventure that has you tearing through a slew of equally well-armed pilots and their titans, along with waves of disposable soldiers. Without spoiling much, Titanfall 2’s campaign is brilliant. From running through a series of obstacles in a manufacturing facility run by a bot with a sense of deviousness that's not too far removed from GlaDOS in the Portal games, to squaring off against enemy titans mid-air, it’s well-paced with tremendous variety in level design. The narrative may not be anything new but what Titanfall 2 lacks in that department, it makes up for with the banter between your character, Jack Cooper, and BT-7274, the titan you’re linked to. It leads to some genuinely amusing dialogue, made more impactful by allowing you to choose your responses like in Mass Effect. Unlike EA’s sci-fi role-playing game series though, your choices don't have an impact on the outcome of the game. There’s an attempt at building the game’s lore through its characters with the introduction of your Militia allies, IMC villains, and of course, mercenaries with their titans for you to slay in battle. All are expertly voiced, particularly the mercenaries, and they all flesh out the game’s setting and universe a fair bit - something the first game failed at poorly. However all of this would be for naught if the actual moment to moment gameplay wasn’t up to par. Whether you're on foot or in a robot, when compared to Titanfall 1, this game is on the slower side, though it is faster than what it was in the multiplayer open beta. Traversal on foot, be it wall runs or kicking into an enemy, has a gentler learning curve, and the extra time in-air coupled with a generous double jump means negotiating the game’s many chasms and obstacles feel like fun. Mirror’s Edge Catalyst may have improved on how parkour should work in video games, but Titanfall 2 perfects it. So much so that it was as fun to play as a pilot as it was in a titan. Speaking of which, running and gunning in a giant mech is enjoyable. More so in single-player with a host of weapon load outs at your disposal, allowing you to throw bullets back at your foes or simply hover in the air raining down one fiery salvo of missiles after another. Coupled with some expertly crafted AI, Titanfall 2 does a good job of ramping up the challenge regardless of how you play. With the multiplayer however, if you loved the original Titanfall, then you will have reservations about the sequel. Despite a great single-player campaign that gives you enough time to come to grips with its unique controls, other issues are still present. The rodeo system, which allows pilots a fighting chance of taking on titans, has been retooled. When you manage to find yourself on an enemy mech, there's little by way of gunning down its weak points. Instead, you're treated to a canned animation of either removing its battery or plopping a grenade in it. What used to be one of the high points of combat now feels detached and dull. Furthermore, you can’t just summon a titan in after a period of time. Instead, it’s linked to your performance. Kill more enemies on ground, and your reward is a giant robot that can wreak havoc, which is nice as it rewards skilled players but just makes the gap between novices and veterans wider. New game modes like Bounty Hunt are interesting additions - allowing you to earn points on each kill and forcing you to deposit them at specific locations during certain segments of play. Though we still wish Frontier Defense - the co-operative mode of the original, had made it to Titanfall 2, and that matchmaking was faster. It consistently took us over 10 minutes to find a game throughout the launch week, making it an exercise in patience. Interestingly Respawn plans to keep all of the game’s downloadable content (DLC) available for free, which is welcome, as are myriad of visual customisation options for your pilot and titan in multiplayer. So is Titanfall 2 worth the price of admission? Only if you’re craving a fantastic single-player first-person shooter experience. The problem is, this year’s already seen a few of them, with Doom and Deus Ex: Mankind Divided to name a few, which are a lot cheaper right now, compared to the Rs. 4,299 asking price for this game. And in a post-Overwatch and Battlefield 1 world, finding a sustainable player base will be difficult in months to come. It’s bad enough that it took us over 10 minutes to find a match on the PS4 during launch week even after switching servers to different regions. Unless something drastically changes, the wait to get into a game will just take longer. 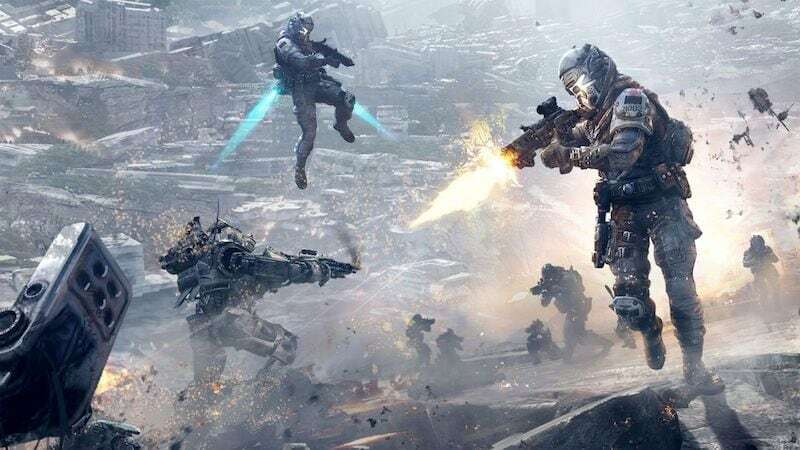 Titanfall 2 brings some much needed improvements to its predecessor but lengthy matchmaking, questionable multiplayer additions, and the removal of some features considered intrinsic to the franchise make it tough to recommend. Pick it up after a price drop. We played a retail copy of Titanfall 2 on the PS4. The game is available on the PS4 and Xbox One for Rs. 4,299 and on PC for Rs. 3,499.
product Does Titanfall 2's retail release fare any better than than its open beta? We review.